Have you ever considered simplify your SaaS Sales with an intuitive purchase experience? to get closer to your customers ! Increase your SaaS business’ conversion rate with our seamless customer Experience & User interface customization! 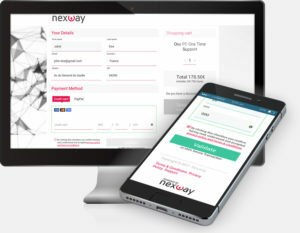 MONETIZE by Nexway enables you to provide transparent payment allowing customers to buy anywhere at any time. You control your checkout experience, customize your own purchase flow and easily grow your conversion rate worldwide! Focus on your core business, let us worry about your customers’ purchase experience! Taking proper care of your customers after they have purchased is mandatory for the sake of your business. This needs to be done in your customers’ native language. Easy said when you sell in the US and the UK, but selling in the EU or LATAM is another topic: you may have to hire French, German, Italian, Spanish, Portuguese speakers, at least. Or you can rely on Nexway services to handle this part for you. Fast and easy. Download our Customer Care Brochure to discover how Nexway’s Customer Care can help you to enhance your competitive edge.